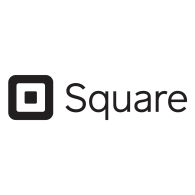 With the vision to make commerce easy, Square provides hardware and software solutions for sellers including their most popular payment tools – the Square Reader and Point of Sale application. The Square Reader for contactless and chip connects wirelessly with your smartphone or tablet, transforming it into a powerful mobile device that takes card and mobile payments like Apple Pay and Google Pay anywhere, anytime. The company charges a fee of 2.65% on every tapped, inserted, or swiped credit card and 10 cents per transaction for debit, but doesn’t charge any monthly or set-up fees, just one of the reasons Square has become a favourite of micro and small businesses across North America. Co-founded by Twitter creator Jack Dorsey, Square Inc. officially launched in Canada in 2012, their first expansion into an international market. In 2015, the San Francisco-based company went public and is currently valued at more than $20 billion. The company now has two Canadian offices in Kitchener-Waterloo and Toronto, home to about 100 employees in Canada.